My 4-year-old son Ben loves Daddy to tell him stories before bed. Usually my husband chooses childhood memories of fishing or exploring with his brothers and friends. Ben is captivated and often wants to hear the same story told over and over again, as if he’s claiming the adventure has his own dream. Really, aren’t some of our dreams birthed from stories we’ve heard? The Bible is full of adventures that entice us. We watch TV shows and read books that draw us in with their characters and plots. Stories are the foundation of so much more than bedtime entertainment. Earlier this year I read “The Secret Keeper,” a fictional story of a woman uncovering her 90-year-old mother’s story. This book by Kate Morton had nothing to do with faith specifically and everything to do with dreaming and discovering. 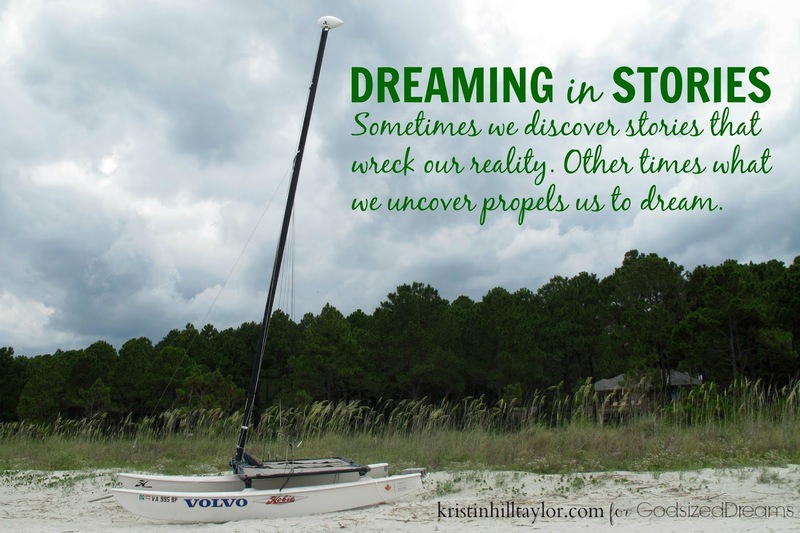 Sometimes we discover stories that wreck our reality. Other times what we uncover propels us to dream.